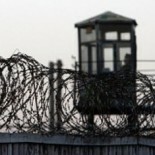 Public opinion in Turkey has been alerted to the long-standing plight of seriously ill prisoners under the justice system largely by the quandary of a number of high-profile suspects, ailing, while detained as part of the set of legal investigations, from mid-2007, into various organised attempts purportedly towards a military takeover of the administration. The cases, some having been concluded, with rather grim sentences dealt out to hundreds of suspects, military and civilian, have lately come under fire for having relied on evidence that is either flimsy or plain fabrication, a turn of events enabled by a thunderous split among the ruling Islamists, namely the governing Party for Justice and Development (AKP) and the Gülen movement. The latter, now, and only now, being blamed by the government for possible miscarriages of justice, ostensibly with the coy aim of co-opting the military in the unfolding feud, are believed to have a loyal and influential following within both the law enforcement and the judiciary. One of the suspects, Kuddusi Okkır, fell gravely ill while in custody and lost his life, in July 2008, about a year after he had been arrested. The suspect in the midst of the debate presently is Fatih Hilmioğlu, an academic and a former university president, in detention since April 2009, afflicted with what appears to be an advanced stage of cirrhosis. According to the Turkish Constitution, Article 104(2), it is possible for the President of the Republic to repeal or curtail prison sentences imposed on individuals in cases of of chronic illness, disability or old age. Yet, as it has become apparent during Hilmioğlu’s continuing ordeal, the process is somehow less than efficient. The President, put in the picture at long last, applies to the Office of the Public Prosecutor in the specific province where the debilitated prisoner is being held, which in turn passes the formal solicitation of the President on to the Ministry of Justice. And the Ministry is supposed to initiate a procedure and ultimately acquire a full report on the health of the inmate from the Forensic Medicine Institute of the Ministry, which, as it seems, can be the tricky part. This has proven to be the case at least in relation to the dilemma involving Hilmioğlu: this government body, manned in key positions mostly by those loyal to the former Islamist allies of the government, has been seen to be able to fight the wish of the President effectively either by refusing to issue the “right” report or by wilfully delaying it. What is more, it is a mystery why someone like Hilmioğlu cannot be released, without the need for a remission by the President, on the basis of Article 16(2) of he Law No. 5275 on the Execution of Penal and Security Measures, which enables the stay of execution of a sentence for those who are sick if the disease forms a definite threat to their lives. Article 16(3) in the same statute stipulates that the medical report for the stay of execution is to be issued either by the Forensic Medicine Institute or by a fully-equipped hospital, on condition that the report by the latter receives the formal approval of the former. The decision for the stay, based on the report, is made by the Chief Public Prosecutor in the province where the sentence is being executed. Human rights activists have been advocating that relaxing what is de facto an exclusive authority wielded by the Forensic Medicine Institute may bring about some much-needed relief by expediting the process. An amendment in Article 16 in the Law No. 5275, in January 2013, sought to facilitate the stay of execution of sentences for those seriously ill or injured in cases when they could not possibly go on living alone, provided that they did not present any danger to the public. Yet, a news report published in September 2013, releasing records kept by none other than the Ministry of Justice itself, reveals that, in the preceding period of about seven months following the new regulation, 14 people awaiting the completion of respective individual appraisals initiated by the Ministry could hold out no longer and lost their lives. A new initiative for further amendment of the law that is being promoted by the opposition in the parliament and that aims to do away with the assessment of a possible “danger to the public” in the release of the sick internee may partly ameliorate this. What are the typical problems of health experienced by inmates in prisons in Turkey? A typical example for a relatively less significant or minor category of issues is reflected in the complaint, given voice to only a couple of days ago in independent media, by Ergün Çiçek, a Kurdish political activist who is being held in Amasya E Type Closed Prison. His family seems to have applied to the Turkish Human Rights Association (İHD) for legal help, alleging that, although Ergün has serious health problems concerning his kidneys and his stomach, prison authorities are being somewhat arbitrary in extending appropriate medical care. A category that is much more pressing is illustrated in the tribulation of Hasan Kaçar, a Kurdish activist serving a prison term of 36 years in Metris R Type Prison. Suffering from an ailment known as “ankylosing spondylitis,” Hasan has been rendered practically immobile: he is incapacitated to the degree that he is said to be able to move only his hands, if at all. He appears to have, in addition to this, a number of other internal troubles, with blood frequently detected in his urine. The Forensic Medicine Institute has recommended, according to news reports, a stay of the execution of his sentence for six months. Yet, this precious, hard-earned counsel has fallen simply on deaf ears on the part of the Ministry of Justice. In yet another category is the case of Onur Atmaca, who is reported to be 95 per cent handicapped technically, put nevertheless in Maltepe Open Prison in November 2013 to serve a stretch of 10 months’ imprisonment for a so-called “gas handgun” (whatever this is), with a replaced barrel, found in his possession. He has numerous reports testifying to his condition. Yet he is expected to get one also from the Forensic Medicine Institute, a process that usually lasts up to 10 months. “My brother Kemal Gömi received a life sentence, to be served in solitary confinement and with no possibility of parole, in 1993. Since 2000 his life is spent between hospital and prison due to his psychological indisposition. A 2010 report by the Forensic Medicine Institute diagnosed him with “residual schizophrenia,” stating that he qualified for a presidential pardon and that he could not go on being by himself and under prison conditions. Yet, despite all our applications, the President refused to pardon my brother, without indicating any reason. As his family, we are terrified that Kemal is going to hurt himself. We want him to be released before it is too late for everything.” The picture and the story comes from Türkiye’den Şiddet Hikâyeleri (Stories of Violence from Turkey), a unique and smart project, with a stunning website, which these pages used before for the story of a trans individual. A case much highlighted, yet with little improvement so far, exemplifies a category altogether different: that of Kemal Gömi. A left-wing activist, charged with involvement in an armed assault, which resulted in the loss of two lives, and yet which he contested throughout that he had had anything to do with, Kemal is detained since 1993, serving a life sentence. In over 20 years he has been in prison, he has survived serious forms of ill treatment, extended periods of hunger strikes, and the infamous prison raids by the administration in December 2000, in which 32 inmates were killed, hundreds gravely injured, with effective impunity to follow for those responsible, giving rise in time to a series of European Court of Human Rights judgements against Turkey. Presently in Kandıra F Type Prison, Kemal has been diagnosed with “residual schizophrenia.” Reportedly, he does not even know that he is in prison. Deemed by the Forensic Medicine Institute not fit to survive at all under prison conditions, Kemal is still being held regardless. The family seem to have pleaded with the Office of the President to act, under Article 104(2) of the Turkish Constitution, as described above, but have been replied that they need to have the attention of the Ministry of Justice instead. And by the Ministry they are advised, if media accounts are to be believed, to apply to the Office of the President. While independent courts seem to be inexplicably inert in the matter, dismissing the applications by the family, and putting the ball consistently in the court of the administration. A public campaign in the form of collecting support online has been introduced to raise awareness of the situation. And the musical band Praksis have written this lovely piece for Kemal. All this, however, seems to have come to little fruition so far. What exactly is the human rights law, binding on Turkey, and applicable to these issues? On these pages, we generally cover the European regime of human rights, which is more effective, and more readily enforced, compared to the other instruments available, such as various inter-governmental agreements under the United Nations (UN). These instruments are arguably less effective not because they are not binding on Turkey. They are not only binding but they also override the domestic legislation in the event of a possible clash, as per the provision in Article 90 of the Turkish Constitution. They are less effective in practice only in terms of international monitoring and enforcement mechanisms tied to those instruments. This said, it is always possible, of course, for the Turkish judiciary to appeal to those instruments directly and invoke them at the cost of the domestic law, thus bolstering their function. One of these instruments is the UN Covenant on Civil and Political Rights, of 1966. According to Article 10(1) in this agreement: “All persons deprived of their liberty shall be treated with humanity and with respect for the inherent dignity of the human person.” Article 7 in the agreement repeats a famous dictum enshrined originally in Article 5 of the Universal Declaration of Human Rights: “No one shall be subjected to torture, or to cruel, inhuman or degrading treatment or punishment.” As we are going to find out briefly, this edict, to be repeated in the European Convention on Human Rights, is more or less the basis of the European human rights law on the protection of prisoners’ right to healthcare. Turkey is not only a party to this treaty but also to the Optional Protocol appended to it, which enables individual applications from Turkey in a manner similar, if not as effective, to the European system. Accordingly, individuals who have exhausted domestic remedies may take the issue to the Human Rights Committee set up in the main treaty. Turkey is a party, again, to both the UN Convention against Torture and Other Cruel, Inhuman or Degrading Treatment or Punishment, of 1984, and its Optional Protocol. According to Article 16(1) in the treaty, states parties are under obligation to avoid and prevent cruel, inhuman or degrading treatment or punishment. As with the instrument earlier, it is possible for individuals under the legal authority of a state party to take an issue to the Committee Against Torture if they are unable to find redress domestically. Finally, a UN instrument particularly significant is the Convention on the Rights of Persons with Disabilities, dated 2006. Article 1 in this treaty defines disability as “long-term physical, mental, intellectual or sensory impairments,” thereby making the instrument relevant virtually to all grievances of prisoner health so long as the ailment is lasting. According to Article 13, states parties, such as Turkey, are under obligation to “ensure effective access to justice,” a pronouncement that may be thought to be particularly suitable for permissive interpretations. In Europe, a Convention for the Prevention of Torture and Inhuman or Degrading Treatment and Punishment, from 1987, has created a European Committee for the Prevention of Torture, which pays visits, periodic and as required, to places in states parties, including Turkey, where persons deprived of their liberty are detained. The main pillar of the protection extended to the right of prisoners to healthcare within the European regime of human rights, however, is Article 3 in the European Convention on Human Rights, which repeats (with a slight omission) the decree, mentioned above, in the Universal Declaration of Human Rights: “No one shall be subjected to torture or to inhuman or degrading treatment or punishment.” The European Court of Human Rights, the central monitoring organ of the system, has used this succinct statement in a number of cases over the years to introduce some benchmarks for the European human rights protection system in the matter of healthcare for prisoners. First, the question intrinsic to the title above. According to the European Court, to be sure, Article 3 cannot be construed to place an obligation on states parties to end the deprivation of liberty for a prisoner on health grounds (on this, see, in particular, Kudla vs Poland, 2000, par. 93). This seems to be the case so long as the public authority is able somehow to provide the medical care required for the illness, approximating to the best that is available. But this is not all. An obligation to end or delay the deprivation of liberty may emerge depending on the specific health issues and the conditions in prison. How? The European Court makes it clear, almost in the same breath, that the conditions under which a prisoner is detained must “not subject him to distress or hardship of an intensity exceeding the unavoidable level of suffering inherent in detention” (Kudla, par. 94, emphasis added). In other words, (a) the European system does not appear to grant a right to be released on health grounds, including cases of terminal illness, with the exception of those with severe mental handicap obviously (such as Kemal Gömi’s above), which should be an offshoot of the general principles of law, tacitly yet axiomatically supplementing the system. Still, (b) if the on-going detention causes suffering to a degree not anticipated in the penalty itself (such as the detention on remand of a sick person, dying slowly and alone in prison), there will be a violation of Article 3, and perhaps also Article 2, namely the right to life. In short, there is after all a right to release for a prisoner on health grounds. In the case Mouisel vs France (2002), the Court found the French government in violation of Article 3 for failing to release the applicant, a leukemia patient, convicted and serving a prison term for armed robbery. According to the Court in this case, “the applicant’s health was found to be giving more and more cause for concern and … increasingly incompatible with detention” (par. 45). His suffering in prison, the Court pointed out, “undermined his dignity and entailed particularly acute hardship that caused suffering beyond that inevitably associated with a prison sentence and treatment for cancer. In conclusion, the Court considers that the applicant was subjected to inhuman and degrading treatment on account of his continued detention” (par. 48, emphasis added). The Court decided in a subsequent case, Farbtuhs vs Latvia (2004), that even a mere delay, for over a year in the specific instance, in releasing the inmate who suffers from an incurable disease was a violation of Article 3. Curiously, then, the domestic law, especially after the recent amendment, seems to be roughly in compliance with the European human rights law as outlined in the case law of the European Court of Human Rights. Undeniably, however, all told, the implementation of the law is something quite different. On this note, one last, yet tremendously important, point: if an inmate with health problems alleges ill treatment in this regard, there must be an effective investigation by the public authority. Inaction, or delayed or incompetent action, as the case may be, will constitute a violation of Article 3 under the procedural limb — as there are, not one, but two obligations under Article 3: (a) to avoid and prevent ill-treatment (substantial limb), and (b) to conduct an effective investigation if there is an allegation of ill treatment (procedural limb). See, for the procedure in cases of severe health problems in prison, Rules 43(3) and 45(1) of European Prison Rules, dated 2006, a document which is not an international agreement, but a set of recommendations by the Committee of Ministers of the Council of Europe, yet which is arguably tantamount to consistent and near-uniform state practice, that is, possibly the emerging customary law in the matter in Europe. Issues of implementation aside, Article 81 in the Turkish Law No. 5275 is, once again, broadly in keeping with these guidelines. This entry was posted on 07 Şubat 2014 by hapistesaglik in Hapishanede Hasta Hakları, Hapisteki Hastalar and tagged criminal justice system, english, Ergün Çiçek, Fatih Hilmioğlu, genel durum, hapiste sağlık, hapisteki hastaların durumu, Hasan Kaçar, hasta mahpuslar, ingilizce, inmate, kemal gömi, kuddusi okkır, kurdish, Onur Atmaca, prisoner, prisoners in turkey, sick inmate, Turkish prisons.